Dr. Yang obtained an MD in China in 1983 and a PhD at the University of Wisconsin-Madison in 1993. Dr. Yang obtained further 5-year post-doctoral training in the Department of Biochemistry in San Antonio Texas, followed by training at the NIH, National Institute of Aging, Baltimore, MD. In 1998, Dr. Yang joined the research group of Dr. Kevin J. Tracey at The Feinstein Institutes for Medical Research and began her studies on cytokines and sepsis. Dr. Yang has published over 59 peer-reviewed papers, many of which are in high impact journals; and she is a co-inventor of two patents. Dr. Yang has been an invited speaker at many national and international meetings, including The International Endotoxin Society Meeting, American Thoracic Society 99th International Conference, The HMGB1 Congress, World Congress on Trauma, Shock, Inflammation and Sepsis, The 11th Congress of the European Shock Society, Society of Critical Care Medicine Annual Congress. Dr. Yang has also served as a journal reviewer for Critical Care Medicine, Expert Opinion on Therapeutic Target, American Journal of the Medical Sciences, Arthritis Research and Therapy, Food and chemical toxicology. Dr. Yang‘s research interest is on inflammation and sepsis. She has especially focused her work on a novel and exciting cytokine-like molecule called HMGB1. HMGB1 is integral in amplifying inflammation. Currently, Dr. Yang and her team are working on the molecular basis of HMGB1 and its receptor interaction, in order to study how does HMGB1 function as a cytokine. In collaboration with Drs. Kevin J. Tracey and Yousef Al-Abed, Dr. Yang showed that in carrying out its pro-inflammatory functions, TLR4/MD2 receptors have subtle but distinctly different structural requirements for HMGB1, adding to the specificity of events within this broad canvas of inflammation. 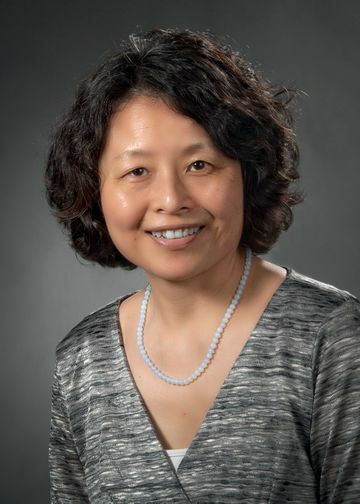 In addition, Dr. Yang and her team are using DNA-conjugated beads to sequester HMGB1 in murine colitis in mice, as HMGB1 acts as a cytokine mediator of inflammation in the pathogenesis of inflammatory bowel disease (IBD). Since HMGB1 binds to DNA with high affinity, Dr. Yang has developed oligonucleotides immobilized onto sepharose beads and used them as a novel agent to sequester HMGB1 in treatment of IBDs. Dr. Yang and her team observed that oral administration of DNA-containing beads reduced the weight loss of IL-10 knockout mice with spontaneous colitis, ameliorated colon injury, reduced levels of serum HMGB1 compared with mice treated with empty beads (no DNA). This data suggest a therapeutic potential for DNA beads to sequester HMGB1 in inflammatory bowel diseases. Dr. Yang has been collaborating with Dr. Kevin J. Tracey and members of Tracey Lab, Drs. Haichao Wang, Yousef Al-Abed, Lionel Blanc, Betty Diamond, Jesse Roth, Ping Wang and many scientists outside the Feinstein Institutes.